Dzhokhar Tsarnaev, the surviving Boston Marathon bombing suspect, has been formally charged with killing four people and using a weapon of mass destruction. Dzhokhar Tsarnaev, 19, faces 30 total charges in the April 15 Boston Marathon blasts, which killed three and injured more than 260 others. A fourth victim, a policeman, was shot dead by him and his brother during the hunt for them, federal prosecutors say. Seventeen charges could bring life in prison or even the death penalty, US prosecutors said. 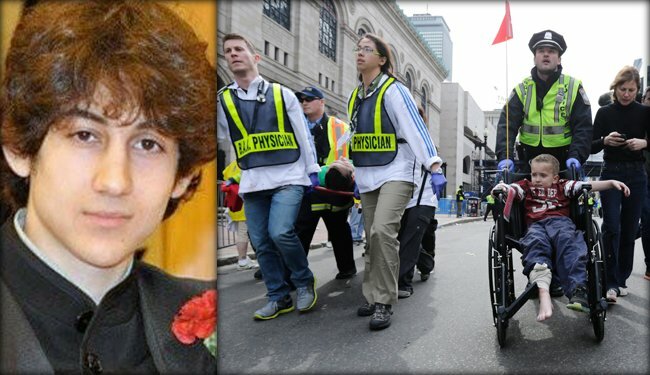 In Boston, US Attorney Carmen Ortiz described the Tsarnaev brothers’ preparation for the attack. They went to a firing range to take target practice, bought electronic material online that could be used to make bombs, and downloaded a publication that could provide instructions on building explosives, Carmen Ortiz told reporters. Dzhokhar Tsarnaev also faces charges for a carjacking days after the attacks and for interfering with commerce, prosecutors said. His brother, Tamerlan Tsarnaev, 26, was killed in a shoot-out with police days after the twin blasts. Dzhokhar Tsarnaev was injured in the manhunt and has been held in a prison hospital near Boston since his capture on April 19. According to the indictment, the Tsarnaev brothers made bombs from pressure cookers, low-explosive powder, ball bearings, nails, adhesive, electronic components and other material. It adds that Dzhokhar Tsarnaev aided and abetted his brother by planting and detonating one of the bombs. Tamerlan and Dzhokhar Tsarnaev are from a family of ethnic Chechen Muslims from Russia and had been living in the US for about a decade.